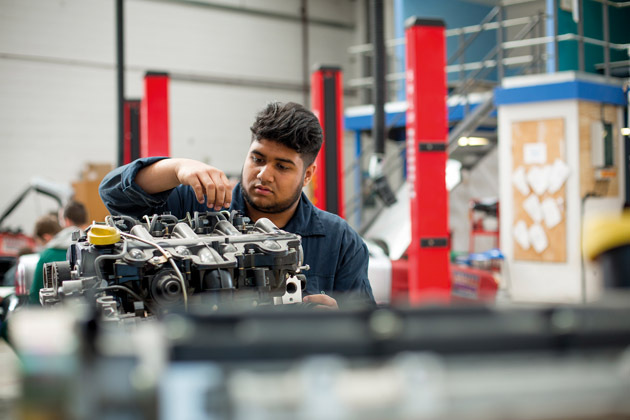 Industry body, Institute of the Motor Industry (IMI), has announced it will be offering free expert advice to businesses in the automotive sector on how they can best use their Apprenticeship Levy funds. Last month the Chancellor, Philip Hammond, announced he is introducing a series of new reforms for apprenticeships to encourage more businesses to upskill their current workforce as well as employ more people to undertake an apprenticeship. If a company’s total pay bill exceeds £3 million per tax year, 0.5% of the total pay bill is managed by HMRC to fund the levy. An additional bonus for companies paying into the levy is that the government is applying a 10% top-up to monthly funds entering levy paying employers’ digital accounts, for all apprenticeship training in England. “With the continued confusion surrounding the Apprenticeship Levy, whether you’re a paying or non-paying business, its important organisations understand how they can best use the training funds to which they’re entitled. The IMI is, therefore, offering free expert advice to help organisations understand how they can invest their Levy or co-investment, using this to enhance the skillset amongst their business. “There is no question that apprentices deliver real value for businesses as a two year study undertaken by the IMI proved. The results found that apprentices typically generate an ROI between 150% and 300%, and usually generate profit within 12-24 months. Home grown apprentice-trained technicians invariably outperform market-recruited technicians, and this can reduce long-term recruitment and training costs. The IMI is an Approved Assessment Organisation for Apprenticeship Standards in Autocare Technician (L2), Light Vehicle (L3), Heavy Vehicle (L3), Bus and Coach (L3), and Customer Service (L2 and L3) - and will soon be announcing further Standards that meet the new reforms. Anyone who would like to access the expert advice on the Apprenticeship Levy should call 01992 511 521 or email enquiries@theimi.org.uk.